Aquaponics can be referred to the combination of hydroponics and aquaculture, grows plants and fish together in a single integrated system. In other words, it is considered to be the most sustainable method of raising both vegetables and fish. Commercially, the industry of aquaponics is growing in a rapid manner. Majority of the entrepreneurs have realized that a controlled environment agriculture and aquaponics can provide with a high quality locally grown fresh foods on a yearly basis. The depth of the natural world has inspired many and aquaponics is one of the greatest examples of indoor farming. Even if you are not an expert in farming, you can enjoy the benefits of aquaponics with Biopod Aqua. The Biopod Aqua is ideal for housing aquatic or semi-aquatic plants and so, you can add some shrimps, fish or snails to your vivarium. Moreover, aquaponics are becoming increasingly popular, since the past decade. It is considered to be the highly sustainable agriculture method. So, all the nature lovers out there, do not miss this heavenly way of enjoying aeroponics. With Biopod Aqua, you can polish your gardening skills as it is easier to maintain. Its great size is ideal for housing small to medium size plants. In addition to this, you can bring your new reptile home without any hesitation, as Biopod Aqua sets up the habitat beforehand. With a Biopod Aqua, you will be able to provide your favourite plants and reptiles a clean water source and some sort of ground based shelter from light and heat. 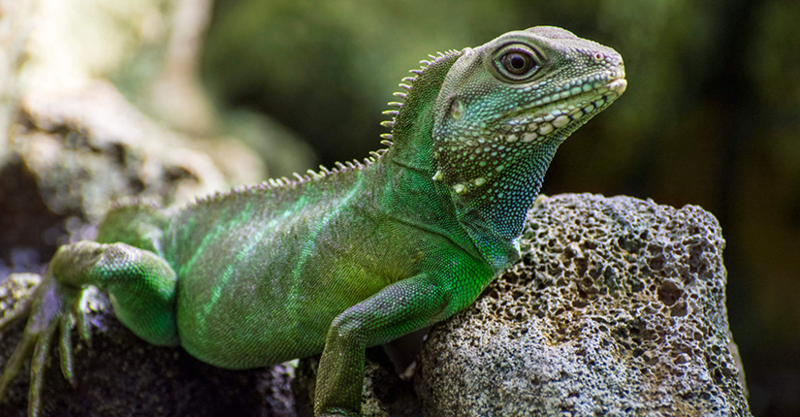 We pay particular attention to the conditions of the environment that your reptile and plant requires. Moreover, by allowing the perfect condition in the new habitat of stabilization, we also ensure that the equipment is operating as per the specifications. So, even if you do not have a room for growing your favourite plants, Biopod Aqua can be your ultimate solution. 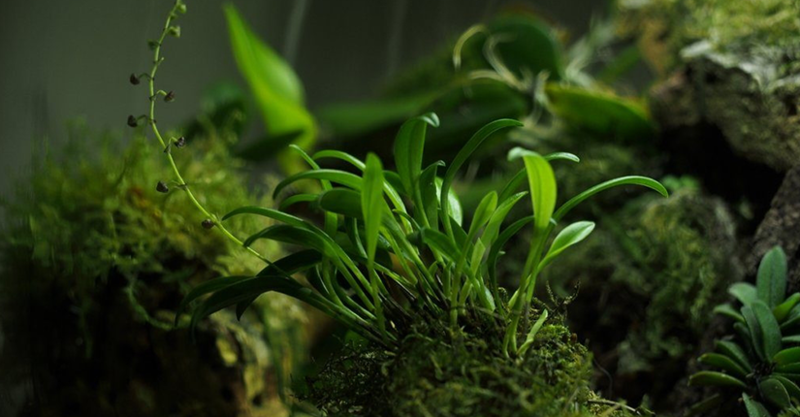 From an herb garden to a rainforest, you can grow anything and everything in your paludarium. Being an app-controlled microhabitat, it can regulate the temperature, humidity, light, rainfall and ventilation, automatically. Biopod Aqua replicates the ideal environment for your animals and plants. Not only it helps you set up a pristine environment for your pets and plants, but also it contributes a lot to your home décor. There are numerous benefits of a Biopod Aqua. Come, let’s have a look at some of their beneficial aspects. In our busy schedule, we often give up on our passion for gardening. When we are engaged into something we are passionate about, we feel free from the internal and external blocks. A lot of research has revealed the fact that being surrounded by nature has a positive impact upon us. So, all the avid nature lovers out there, Biopod provides an opportunity to rekindle your love for plants and animals. You can create happiness with our smart aquarium, ideal for housing small to medium size plants and animals. manner. On top of it, Biopod Aqua requires minimal maintenance due to its self-sustaining ecosystem in which the water and gases are constantly re-circulated. So, seed or plant your favourite species into the smartest system and experience the most of it. 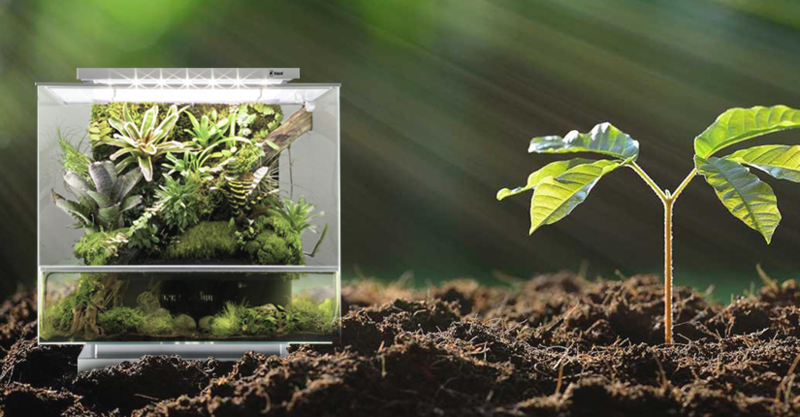 From crop production to growing animals, Biopod Aqua is your ideal companion. Furthermore, not everyone has the space and time to maintain green plants in their garden and just because they do not have the green thumbs, doesn’t mean they cannot maintain a Biopod Aqua. Our smart systems are designed in such a way so that it requires low maintenance. The best part is, the app-controlled microhabitat lets you monitor the water chemistry, nutrient levels and temperature, in a perfect manner. Biopod will help you combine the benefits of your microhabitat, along with the ideal conditions of greenhouse and that too, right inside your home. Not only, it helps you polish your gardening skills, but also it tells you when your crop is ready to harvest. Optimize your crop’s growth for the maximum level of production, with Biopod Aqua. Additionally, if you want to add a low maintenance enhancement to your home décor, Biopod Aqua is your ideal solution. It will create a relaxing and beautiful backdrop for your living space. So, not only you will be able to revive your love for plants and animals, but also Biopod Aqua will contribute a lot to your room décor enhancement. Moreover, Biopod also acts as a great educational tool. It is a fun way of learning a lot about Mother Nature and her importance. Just add a reptile to your Biopod Aqua and see how your kid enjoys it. Your little ones will be able to learn about the delicate ecological balance. They can gain useful insights regarding various aspects of the environment, including gas levels, moisture content, soil conditions and much more. Furthermore, it will also help in raising awareness of life not only inside the Biopod, but also in the sensitive environment, around us. Building a garden from the scratch can take up lot of space and too much time of yours. Keeping that into consideration, our experts have designed the ideal microhabitat for housing your aquatic plants and semi-aquatic animals. By connecting technology with ecology, we have generated great experience for you. Be it your home or office, if you want to encourage your productivity and creativity, Biopod Aqua is your ultimate solution. With its sleek and beautiful design, Biopod Aqua will help you relieve your stress. So, why wait, until it’s too late? Make the most of your experience with our versatile pods. Start adding life to your rooms and let these beautiful species grow.